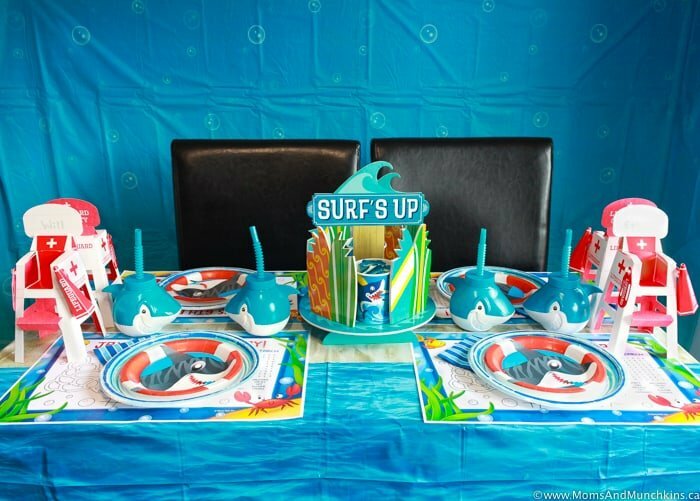 Shark Week is little over a month away so this Shark Party I styled for Birthday In A Box is timed perfectly! 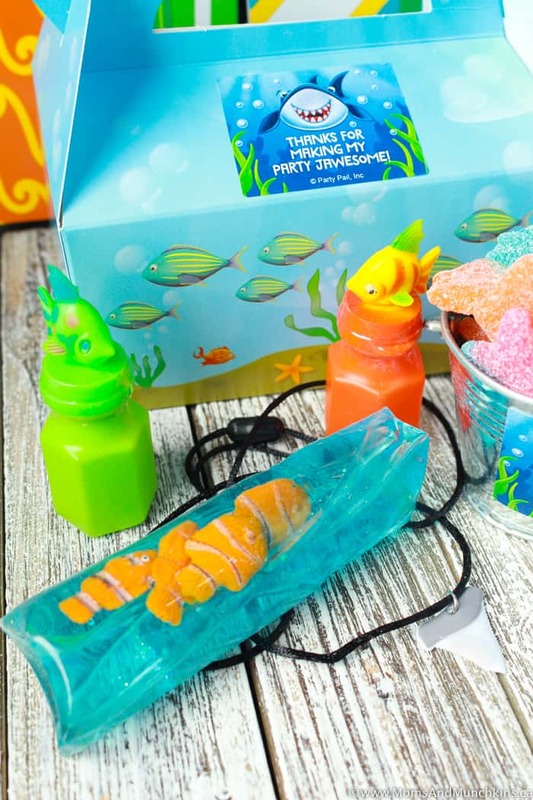 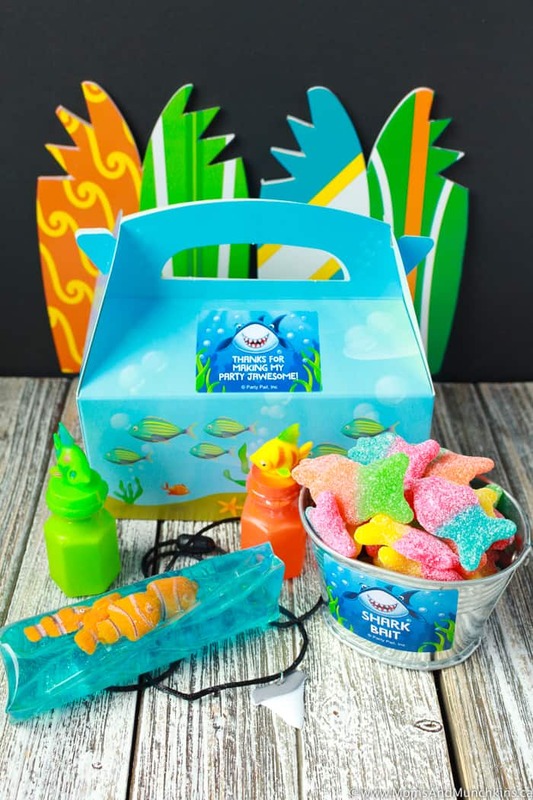 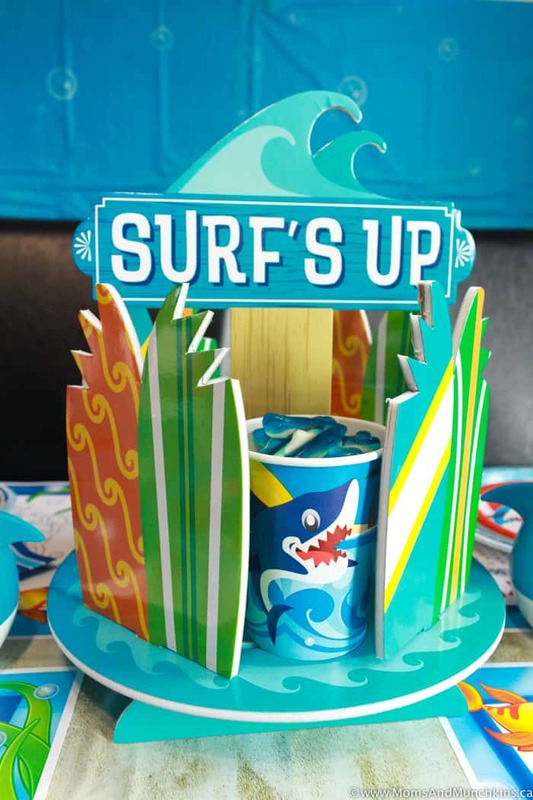 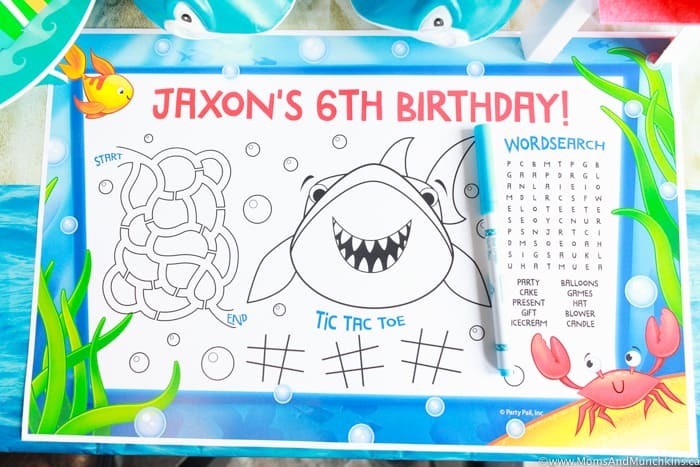 Birthday In A Box asked me to use some of their party supplies to come up with the ultimate Shark Party so I tied a few different themes together – sharks, underwater creatures, beach and surfing. 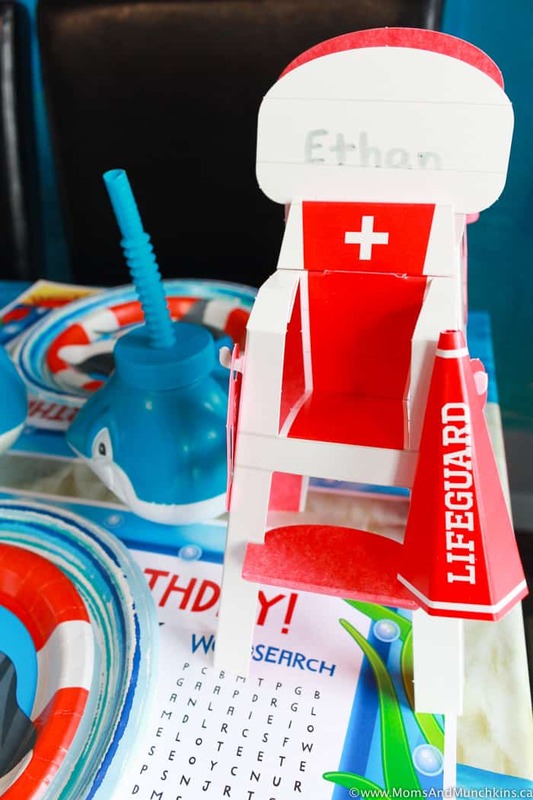 It was a lot of fun to put together! 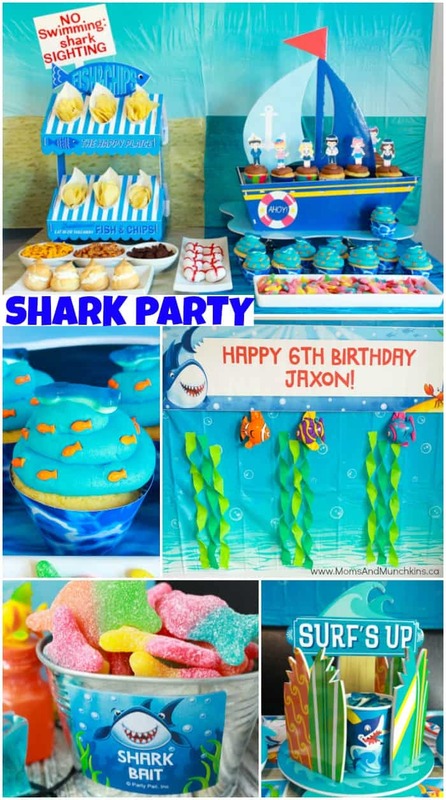 You’ll find my full party article over on their site but I’ll share all the party party photos with you here for inspiration. 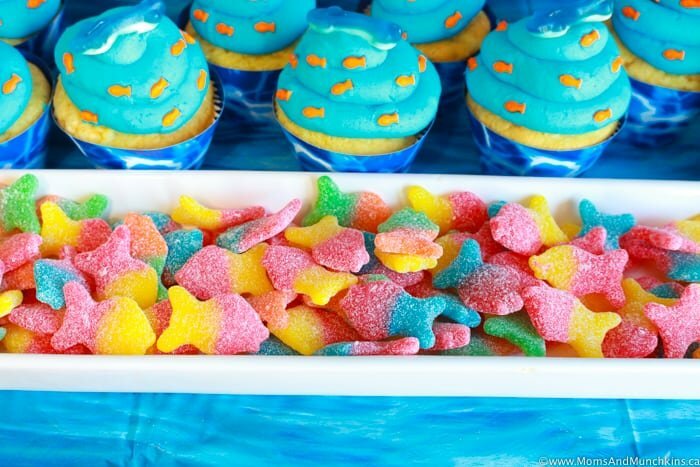 Let’s dive right into it! 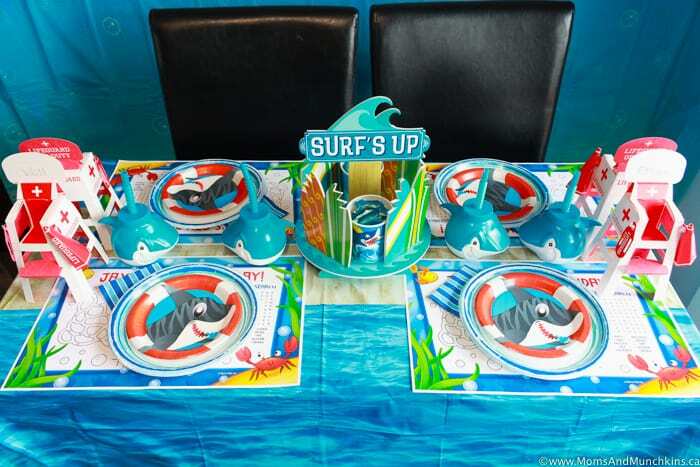 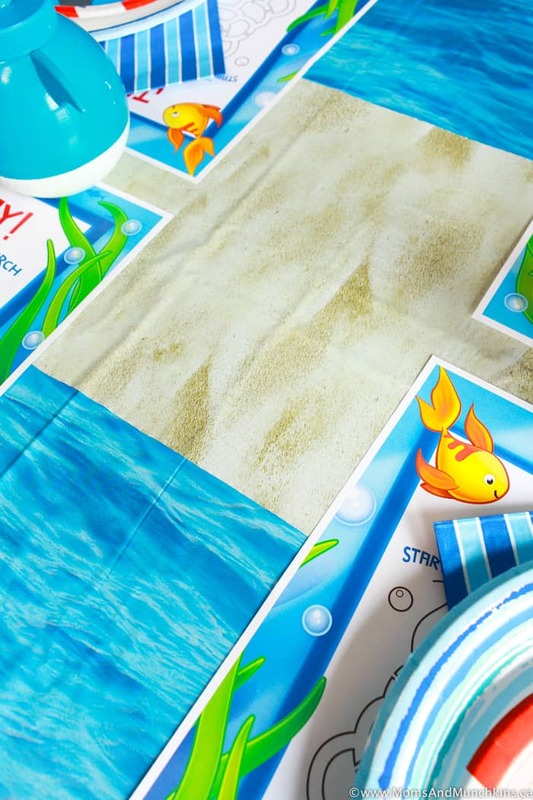 Let’s start with the main party table – a combination of a beach and shark-infested water. 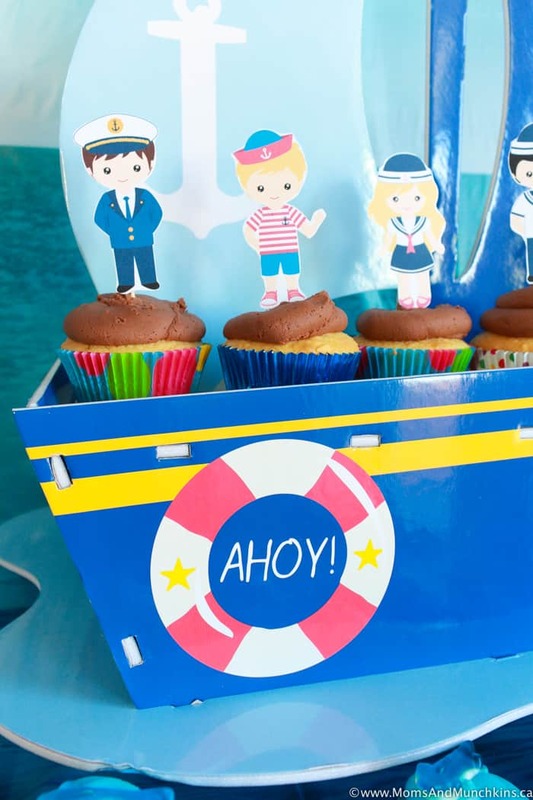 Watch out sailors! 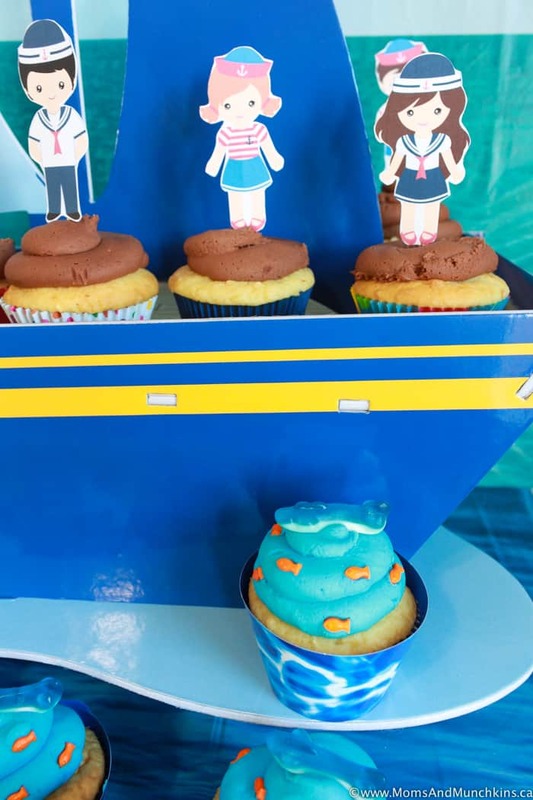 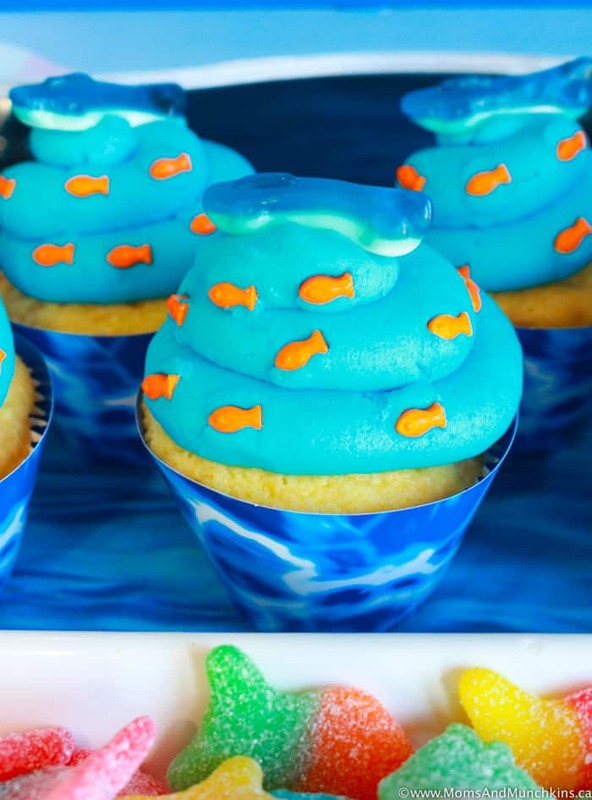 There are shark cupcakes swimming around your boat! 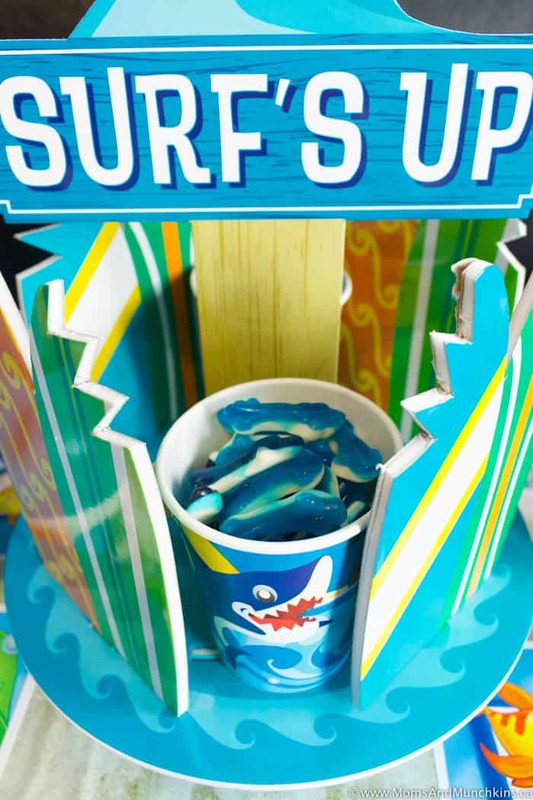 I modified a few surfing party supplies here to look like a shark had taken a bite out of the party. 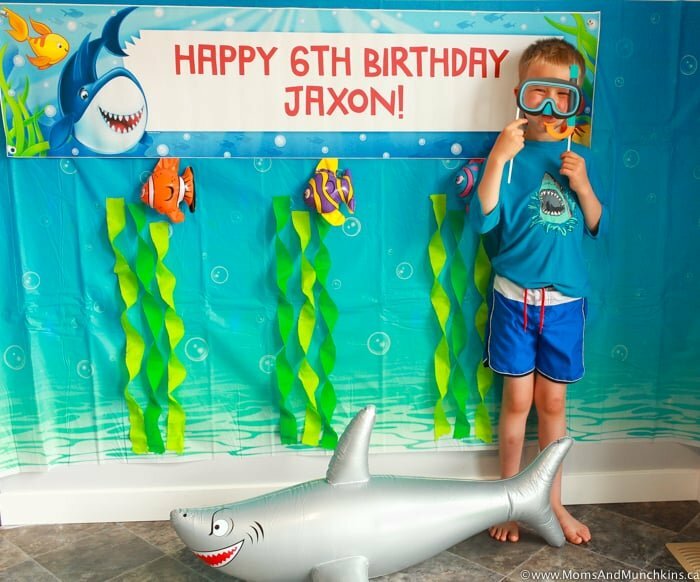 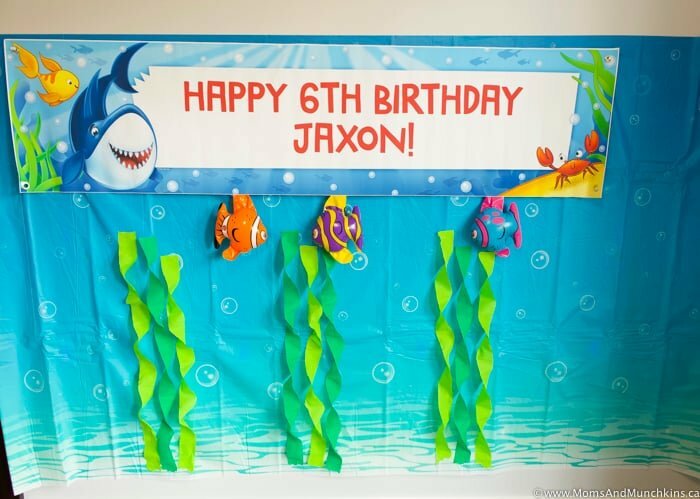 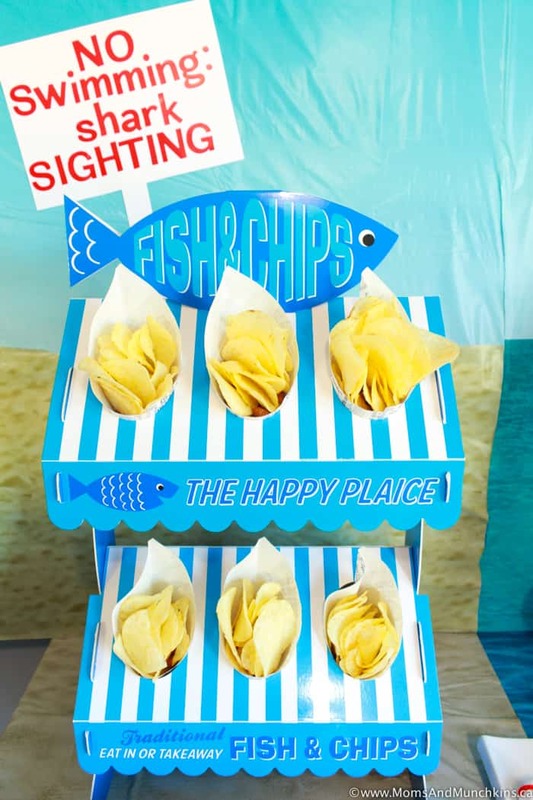 This photo booth was super easy to make with an underwater background plastic sheet, personalized banner, inflatable fish & shark plus green tissue paper seaweed. 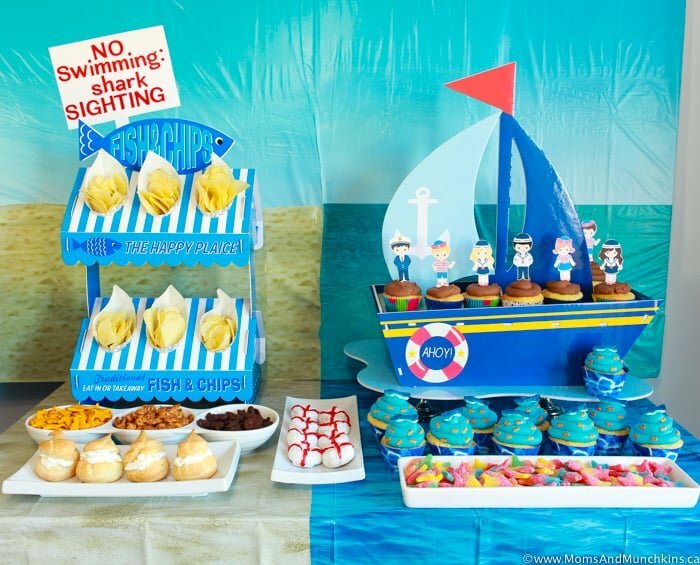 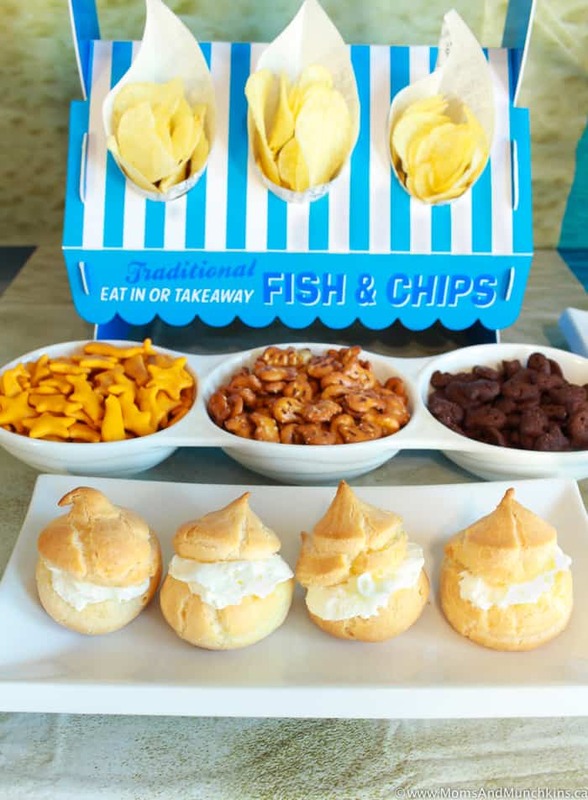 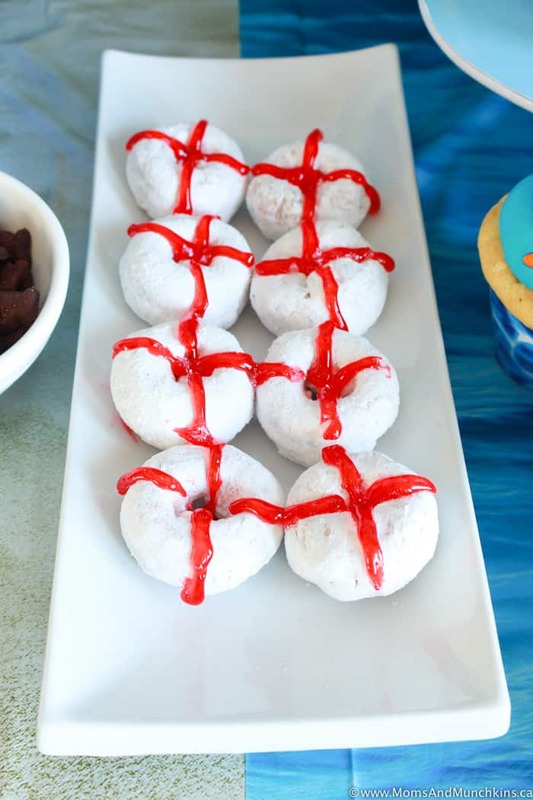 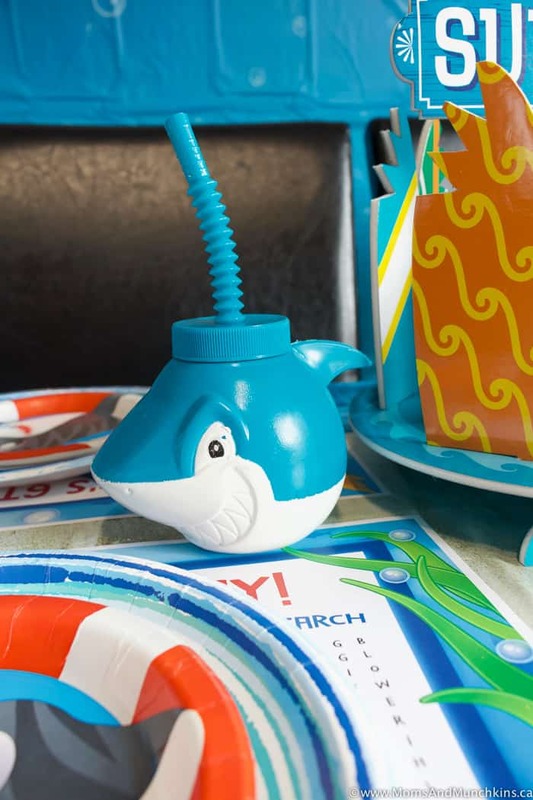 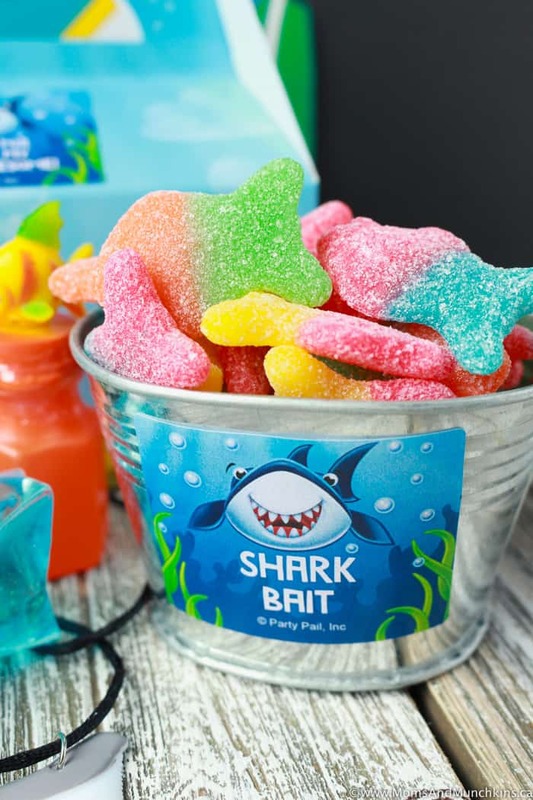 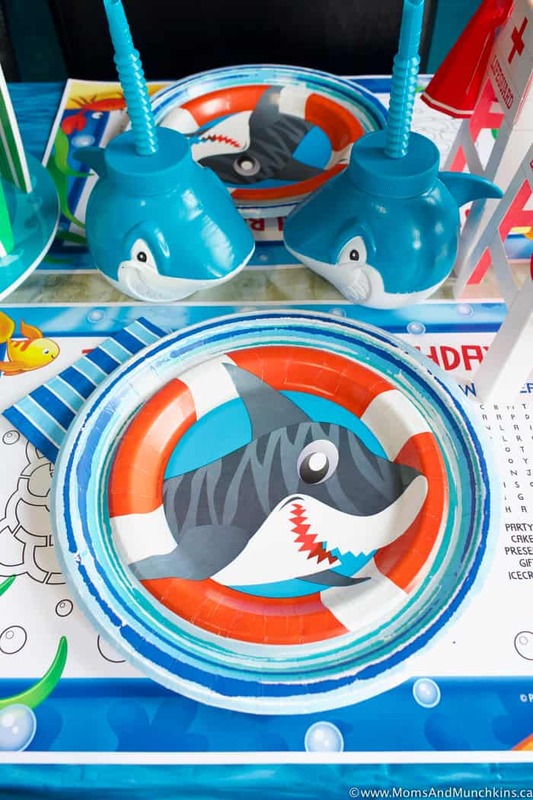 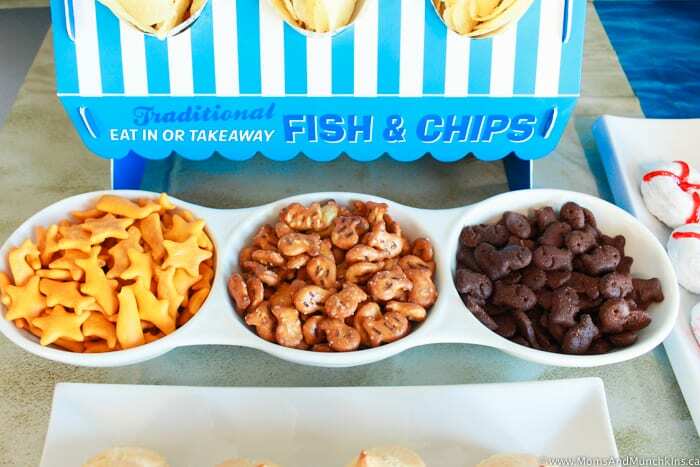 Lots of great ideas for favors when it comes to a shark party. 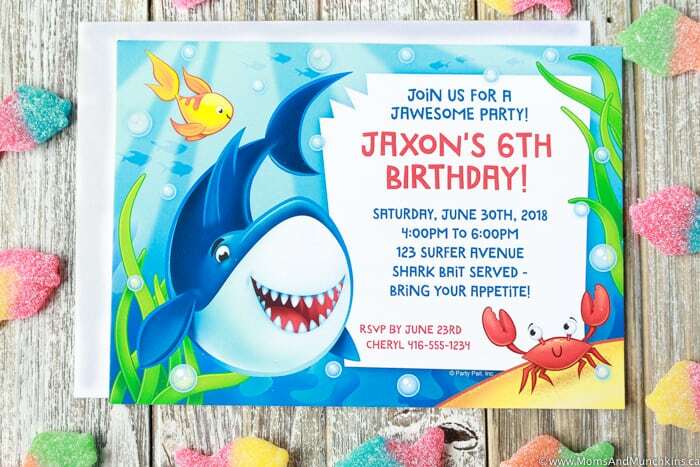 I notice that a lot of parents are skipping over the little items and giving gift certificates as favors instead. 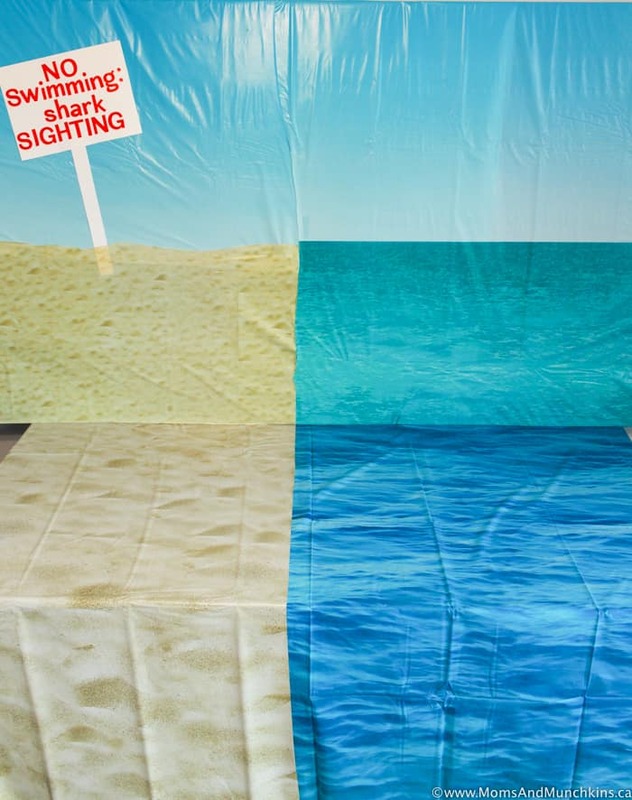 If you wanted to try this, a pass for one swimming admission at your local pool would be a great idea! 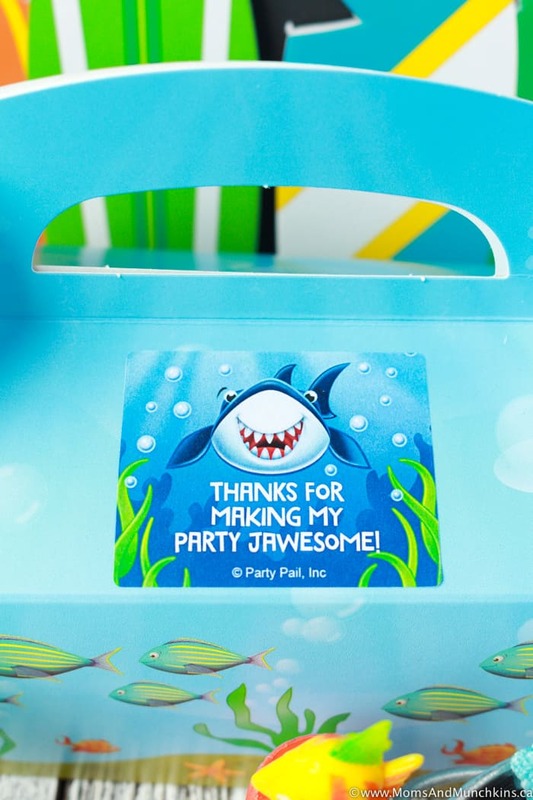 Remember to visit the full party post on Birthday In A Box for all the party details, game ideas, links for where to buy the party supplies featured here, and more! 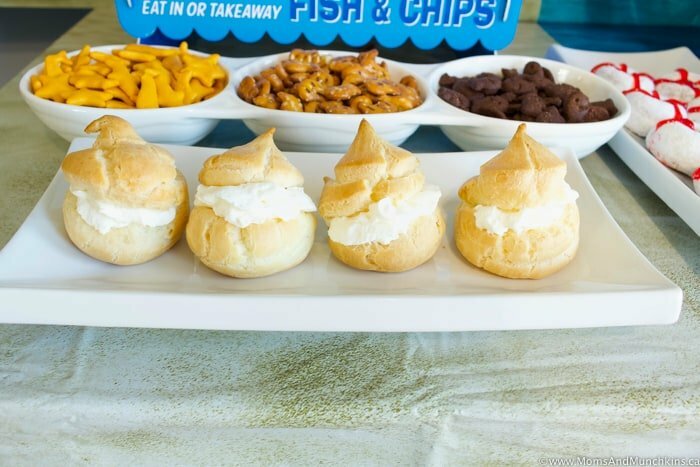 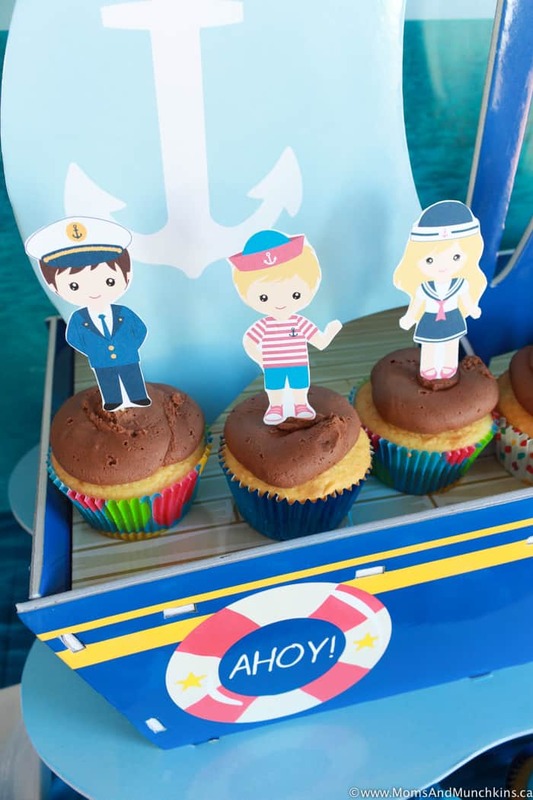 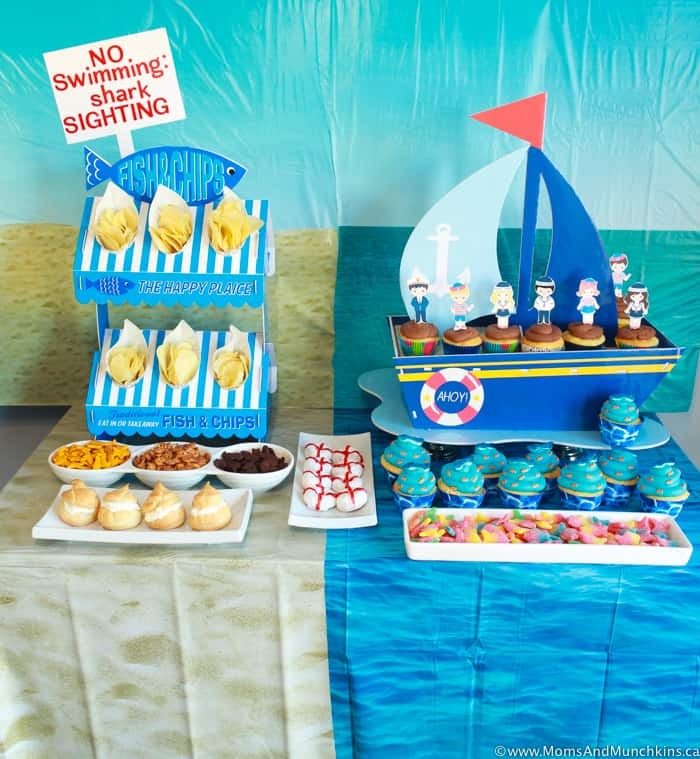 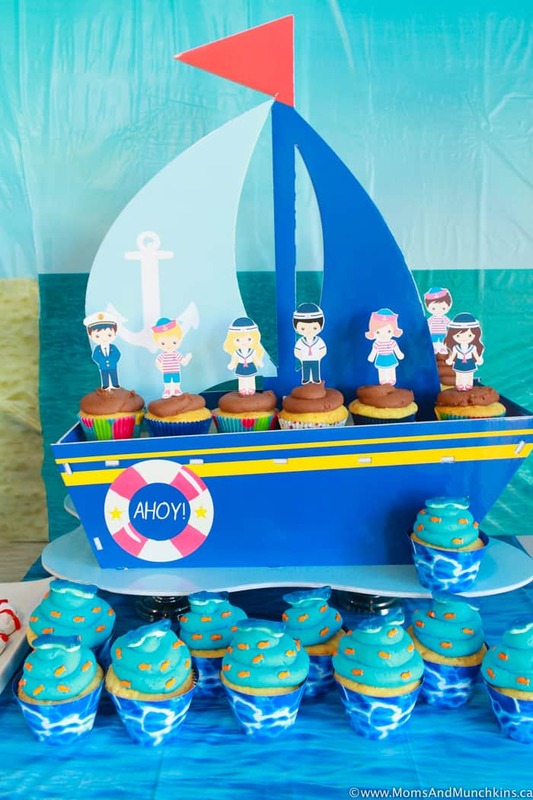 Find more party ideas on our Birthday Party page. 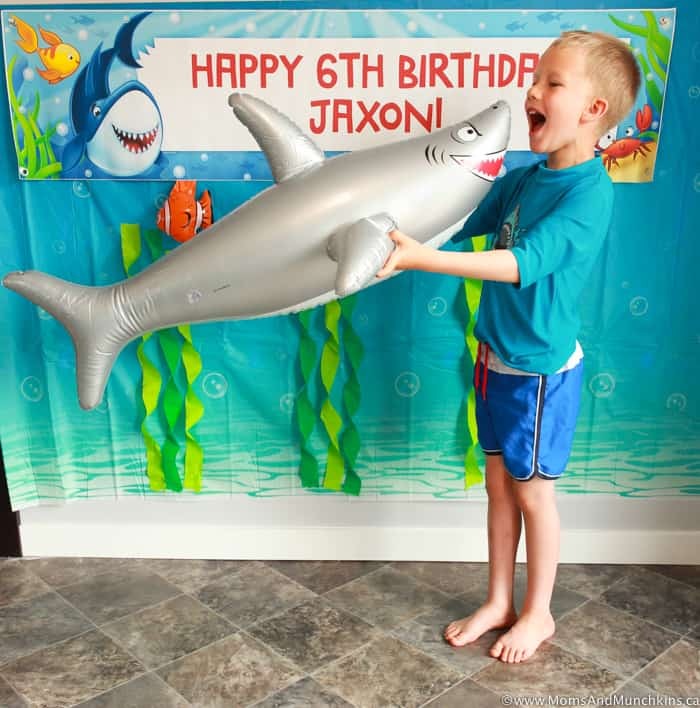 Stay updated on the latest ideas for home entertaining and family fun by following us on Facebook, Twitter, Instagram and Pinterest.